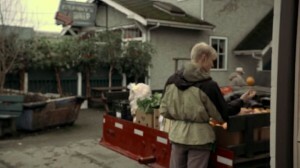 A Jedi Apprentice must have been hired to deliver fruit to Storybrooke. Watch him levitate an Orange. I wonder if he can help Marco keep that sign up across the street. This entry was posted in Once Upon a Time Blog and tagged jedi, once upon a time, star wars on April 6, 2013 by Admin of Storybrooke ;).